Stay always up-to-date and never miss a feed. There is no need to leave CRM to send email or text message. Pipeliner saves your time and handles messaging in two ways. Any messages from team members can be easily seen and responded to. Years back members of a sales team didn’t necessarily talk to each other. It was the age of the “loner” – every rep played “close to the vest” about their particular deals. But this is no longer true. Today, in a large part due to the internet, business moves at lightning speed, and sales must always keep up and, better yet, stay ahead. Because of this pace, reps assist one another with deals, and pick deals up from other reps who are overloaded. Sales managers may also pick up deals, or tag on sales. Other members of the sales team, such as sales assistants, or even others in the organization such as tech support, customer service and marketing, must be able to communicate rapidly with sales reps and each other. Since such communication refers to ongoing sales cycles within CRM, that communication is best conducted right within CRM. That way anything referenced within the communication–a particular opportunity, or activity or task within that opportunity–is right there and visible. A great amount of time is saved because there is no need to leave CRM to send an email or text message, or switch back and forth between applications. From the main message center (Feeds) accessible from the Pipeline View, any messages for team members can be seen and responded to. Simply go into Feeds for any Account or Opportunity, and any messages relating to that particular Message or Opportunity can be viewed and responded to. These messages will, of course, also show up in the main Feed accessible from the Pipeline View. Team Messaging is just one of many ways Pipeliner creates a visually collaborative sales environment. Learn more about how Pipeliner empowers sales team collaboration. 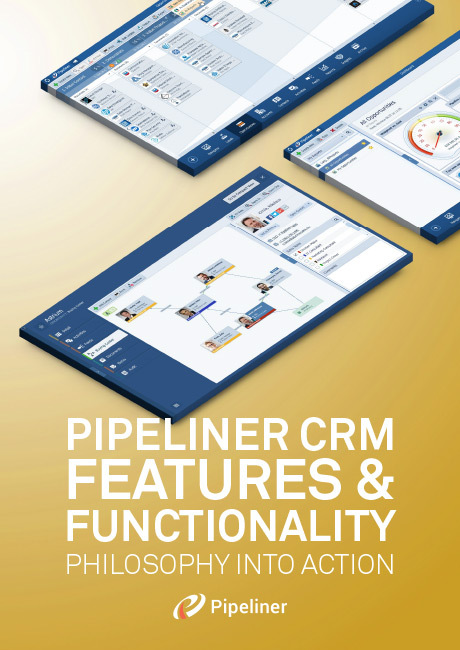 Discover the power that Pipeliner CRM can bring to a sales organization and business.